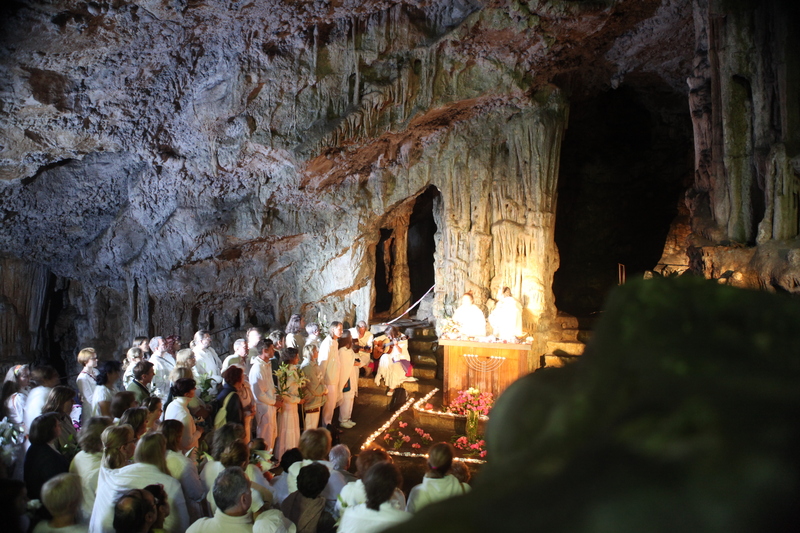 On 16th June 2019 we will gather for the thirteenth time around Stephen Turoff in Sveta jama (Sacred cave) near the Castle of Socerb in Slovenia. A few years ago Stephen started receiving ever clearer insight into one of his previous lives. He kept saying he had lived on the territory of what is now Slovenia. Slowly the information about how he had lived that life became more and more complete. The first get-together in the cave happened spontaneously on May 3rd 2006. Come with pure mind and pure heart, dressed in white, bring white lilies.